The successful students have been selected by our Booking and Talent Team from a list of over 90 applicants from a number of universities. Bringing new talent into the team allows for fresh ideas to be brought to the table and therefore allowing change to the brand. The interns have joined the team for a period of six weeks, providing the students with valuable work experience that they can implement in the future. 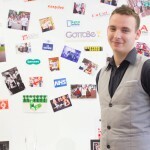 – “The experience the interns get from a work place can not be taught in the lecture hall; experience is something all employers are looking for when recruiting graduates and we are happy to support them and prepare them for their futures”– said Adam Wakeford, Account Support Executive who manages the interns. With more and more graduates struggling to find full time employment due to lack of experience, the internship programme is designed to provide them with as much experience as possible. As an award winning field and experiential marketing agency, GottaBe! 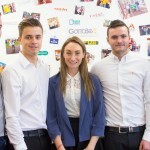 aims to supply the interns with a hands on experience; involving them with the company’s day to day tasks, including campaign planning and execution on behalf of well known brands, such as Specsavers, MyFerryLink and Randstad. – I am delighted to welcome the students to the company and I am looking forward to work with them – said Tomasz Dyl, Managing Director of GottaBe!